The prices are cheap and the sounds are quiet. Thank you. This review is about item#00336375. This review is about item#00335806. Great quality. Judder helped me improve. Thank you very much. It was the same as genuine products. It was nice to purchase at your company. This review is about item#335806. The price is reasonable, and it can be used with confidence because it is made in Japan. It is saved because we can purchase better than purchase at nearby auto parts store. I would like to use it next time as well. This review is about item#336375. Is the price double when gaining name as genuine parts? It can be used without any problem with the same manufacturer's same part number. I will continue to buy bearings in the future. Used for King Pin Bearings of JB23. I am very saved to get it at this price. I used it for kingpin bearing exchange. It is cheaper than genuine and it is hard to beat. Although it is one week after exchange, it can be used without problems for now. I am thankful that items will arrive quickly. I am thankful that the same thing can be purchased cheaply. This review is about item#336366. When purchasing genuine parts, it is expensive so I ordered it and used it for kingpin bearings of light cloth 4 wheel. Grease and oil seal etc are also handy because genuine equivalents are gathered together at low cost. 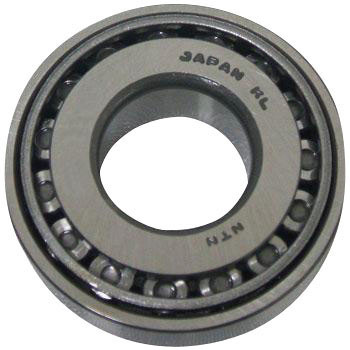 Since it is a domestically produced bearing, there is no problem at all in quality. After all the domestic bearings are different in reliability, the price is also cheap and other bearings are also purchased with a monotaro. This review is about item#336384. Regular replacement is essential in the case of the Crocan run with the old car riding 23 years. Replacement is a safe and secure iron rule before the handle rattle shimmy and judder comes out. I am indebted to MonotaRO, including genuine parts. Sincerely. I bought it for overhaul of car def. I was saved because I could buy two pieces at one price of genuine parts. This review is about item#335842. Jimny (ja 11c) I used it as Type 1 King Pin Bearing. Since my shielded bearings were included in my Jimny, there are some concerns such as durability, but it is working with DIY, and the low price is most attractive than anything else. Together with Ring Shim of Iwata Manufacturing Co. together, no backlash has been eliminated. It seems that there is no problem in quality as well as cheaper than buying at others. It is cheaper than genuine, we will exchange it for regular maintenance. It is a good making. Used for Jimny. It is cheaper than genuine products, but quality is no problem.